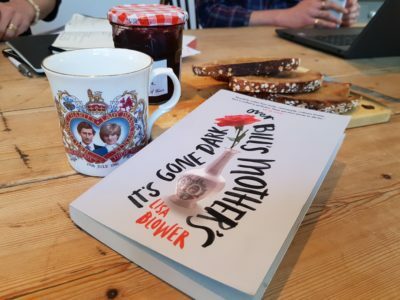 To celebrate the publication of the astoundingly good It’s Gone Dark Over Bill’s Mother’s by Lisa Blower, we’re giving away a copy of the book plus a beautiful commemorative mug (toast & jam not included)! To enter, head over to the Myriad Twitter page, RT the pinned post, tag a short story loving friend, follow Myriad and Lisa Blower. This competition is UK only and it ends on the 25th! Head over to our Twitter profile for more information.